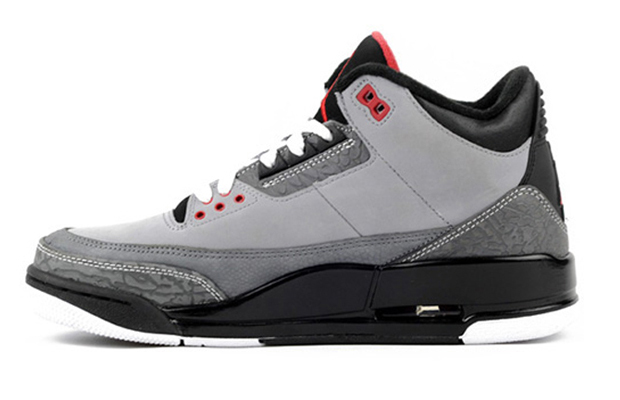 Another Air Jordan III retro for old timers and newcomers alike to get their hands on here. This time, it’s a new make-up that’s been aptly named ‘Stealth’ within the blogging sphere. 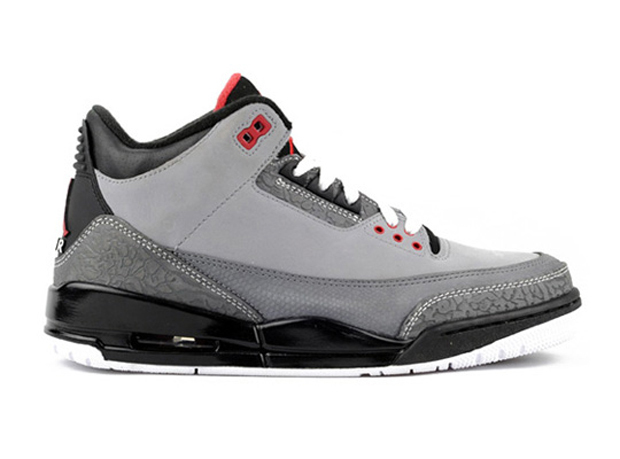 What you can you say about this shoe that’s not already been said? 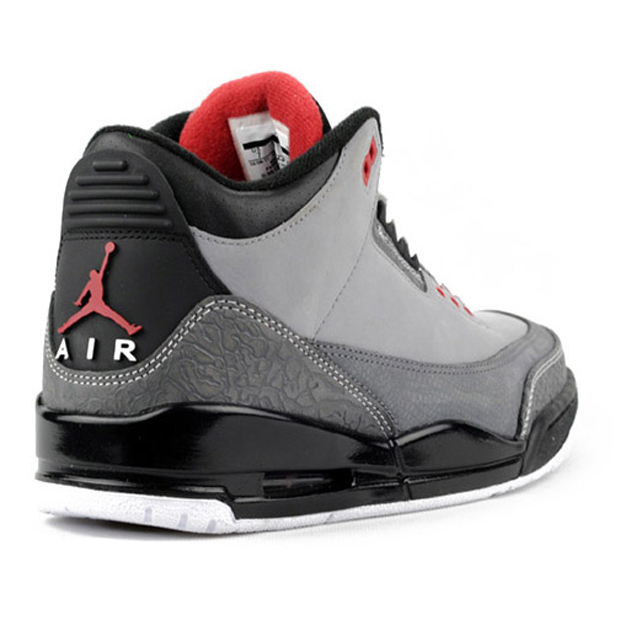 Every sneaker fanatic knows the deal when it comes to these and if not, where the hell have you been the last year? 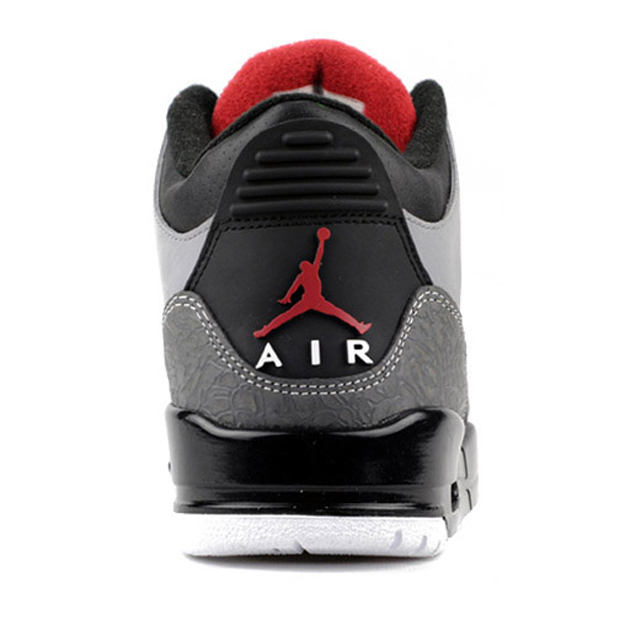 If you need a refresh on why this shoe is as great as it is you might want to take a look here and here. This version makes use of nubuck and leather on the upper, with the iconic elephant print subtly blending in to the moody grey tones. Red accents gives this design that extra ‘pop’, even though it’s only utilised on the eyelets, tongue and on the Jumpman logo. 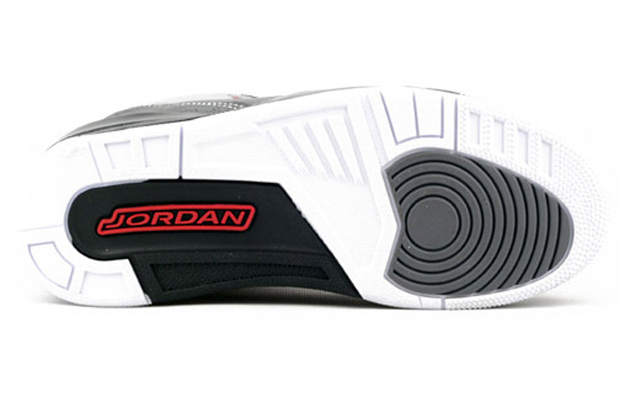 It’s a solid new take on this classic design, but probably won’t causing long time Jordan fans to break out a sweat. These will be dropping on September 3rd at all good Jordan Brand stockists such as Urban Industry, Cooshti and End Clothing.